In massage therapy, the practitioner manipulates the patient, whereas in Reiki, the healer barely touches the patient, in a non-invasive and non-manipulative 45- to 90-minute session. The practices are complementary, however, and many massage therapy schools also teach Reiki healing techniques so they can be incorporated into graduates’ private practices. 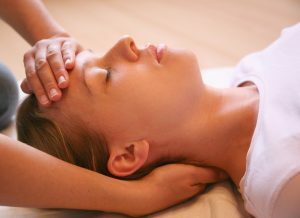 Some massage therapists use Reiki techniques during their massage sessions, which is referred to as a Reiki massage, to promote physical, emotional and mental well-being.